The increase in online classifieds across Africa has reached a tipping point. This comes as Africans are showing more confidence in online transactions. The rise of OLX in Kenya and other indigenous sites such as Pigiame, for example, have actually given many Kenyans the chance to engage in online business. Yet even though these are exciting times to trade on the internet, there is a lot that needs to be done to cover up the loopholes that are still gaping, including the high possibility of scams. One company that seems to be ahead in this is Gumtree, an eBay company operating in South Africa. With over 2.5 million ads being put up every month, Gumtree has become the number one eCommerce company in South Africa according to Effective Measures. Vincent Matinde caught up with the country manager, Johan Nel to find out how the company is achieving its goals and engaging more South Africans online. Gumtree started in 2005 in UK and the idea behind it was a typical classifieds business where there were professionals from Australia living in the UK and they had no place to get information. The professionals would find that “home away from home” online. [They] could find their first job, rentals and a cheap car, once they arrived in the UK. Then in 2006 the service was bought by eBay and also launched in South Africa. At that stage it was a classified site focused on the Western Cape region purely, because professionals from the US and other countries come here and it has seen organic growth. 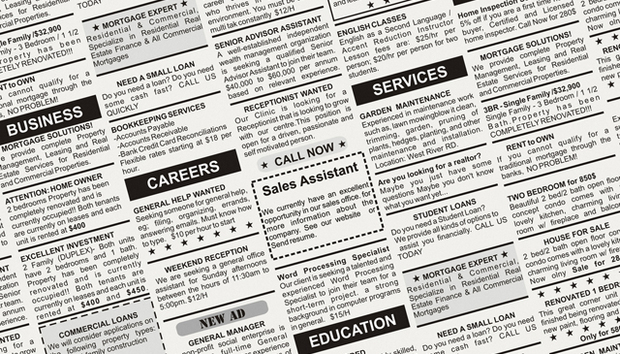 In 2009 the classifieds business expanded to the rest of the cities in South Africa. Everything was still managed in the US. Then in 2011 the above the line marketing started, so you would see Gumtree adverts on TV and radio. Gumtree is the biggest classified and eCommerce site in South Africa and the sixth largest site in South Africa. It is also becoming a PTY [proprietary] company in South Africa and eBay wants to take advantage of the success in the country. What was the strategy of Gumtree to rise so fast in the country? Being in the right place at the right time to solve [the] problem [of] people connecting [with each other] has helped the site grow organically. Today we invest millions of dollars to advertise on radio and TV and to improve paid search. How is Gumtree different from its competitors? OLX is one of our major competitors in South Africa. Globally Naspers and eBay compete in the same market. So it’s a fierce competition for us here locally. We are still the number one classifieds site in South Africa and we maintain [and] grow our lead month after month. The difference is in our strategy. We are a full on business [which] drives revenue to sustain what we do. [Other companies just] compete to get market share with no revenue or monetization. Do you have plans to grow Gumtree in Africa? My mandate at this stage is to be very focused on South Africa and to make sure we provide the best value for our readers, grow their experience and build an amazing business here. At the same time this will be the key guide to potential expansion, but there are no immediate plans to expand into Africa. Any challenges you have seen in the industry? We are very confident in the current internet user base, and we have a good penetration and brand awareness. Through research, 99% of internet users know what Gumtree is. I want to ensure we get the new internet users and educate them. We see users who have gotten their first job and rented [their first] house through Gumtree, bought stuff for that house from the site and bought their first car through the site. What is the mobile strategy for Gumtree? We play in a lot of different markets in the world. South Africa and Africa is unique in some ways. We do have a focused South African strategy: to have a light and fast mobile solution. You will be seeing new [developments from] us in the next couple of months. What is the future of eCommerce in Africa? Classifieds as a general meeting place online are an amazing opportunity. We have only scratched the surface with usage and engagement. My opinion about classifieds is that it is way up in the food chain in anyone’s activities on the internet. It’s search but with real tangible items attached to it. We will continue to improve and entrench our service into the daily routine in people’s lives and if we do get that right then this is an absolutely huge opportunity. With eCommerce there are more challenges, because you have logistics and you’ve got payments which makes it a complex business model. We will keep innovating and offer value. What about the constant issue of lack of appropriate online payments in Africa? Payment is the biggest concern in eCommerce. In Africa ‘mobile-payment’ is the buzz word and there are many companies that are getting into that space. PayPal is a huge player and I hope that I will be one of the guys who will bring it here. With online platform players it is very important that whatever we do, we keep the users in mind and educate them on how to engage on the platform. From the 2.5 million ads we have seen on our platform, potential scams are around eight. So we need to educate users and tell them how to engage sellers on the platform. Vincent Matinde is an international IT Journalist highlighting African innovations in the technology scene.